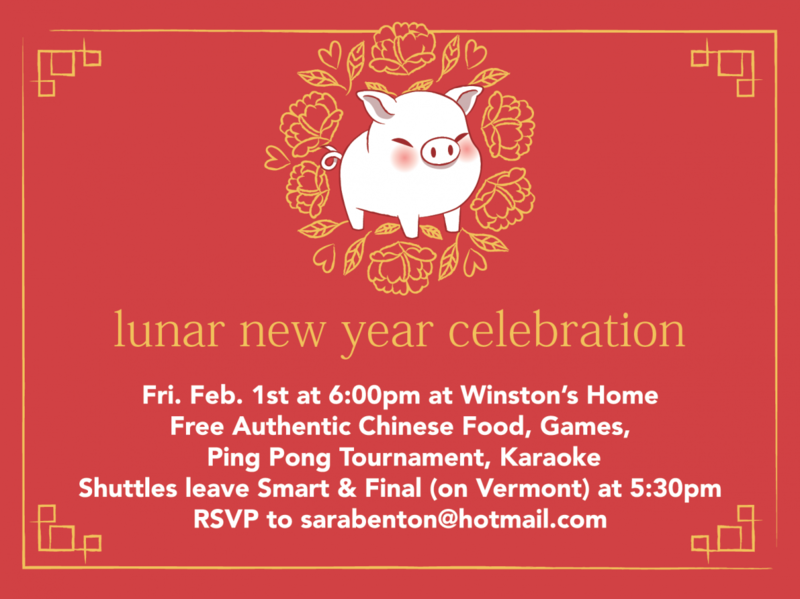 Celebrate Lunar New Year with us!!! 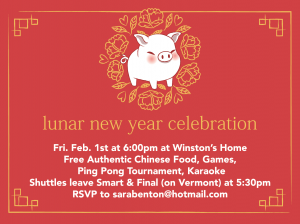 We will have authentic Chinese food, English and Chinese Karaoke, a ping-pong tournament(with prizes!! ), games and more!! Everything is FREE and you do not want to miss it. Whether you celebrate this holiday every year or this is your first time, you will have a great time at this event. There will be shuttles leaving from USC (Smart & Final parking lot on Vermont Ave) at 5:30 pm SHARP. Please rsvp to: sarabenton@hotmail.com and indicate if you need a ride.